and a field-based lab for running experiments closer to a real-world setting. The combination of these three abilities provides a unique niche for FHL and access for researchers both near and far to a state-of-the-art ocean acidification facility in the Salish Sea. 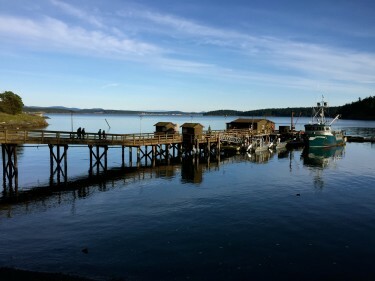 Washington Sea Grant (WSG) has been a leader in regional efforts to understand and address ocean acidification since the late 2000’s, when acidification was first linked to production failures in west coast shellfish hatcheries. In 2010, WSG helped establish the California Current Acidification Network and began investing in scientific research. The following year, WSG hosted an Ocean Acidification Symposium, which attracted over 200 scientists, policymakers, tribal leaders, shellfish industry representatives and others concerned about the impacts of acidification on Washington’s marine waters. As a result, Governor Chris Gregoire convened the Washington State Blue Ribbon Panel on Ocean Acidification in 2012, making Washington the first state in the nation to tackle ocean acidification at this level.